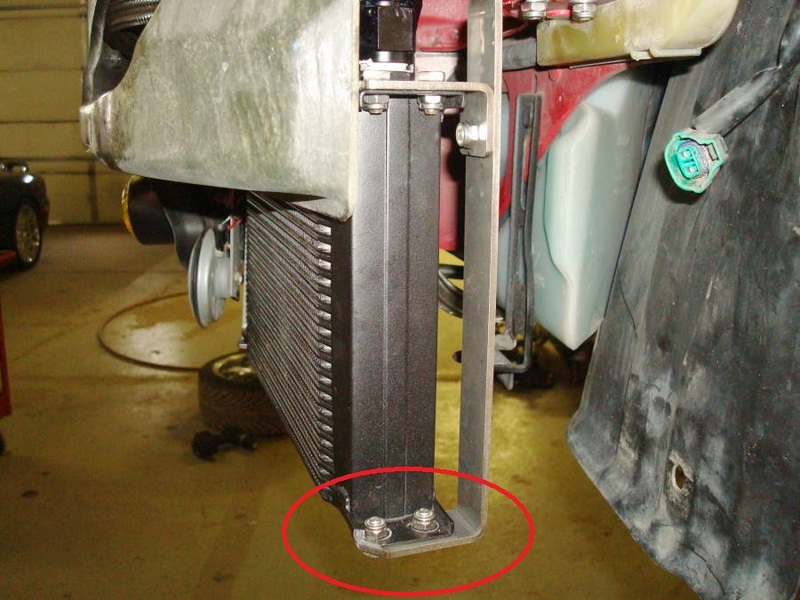 Procedure: Note instructions show installation of 25 Row Mishimoto oil Coolers. 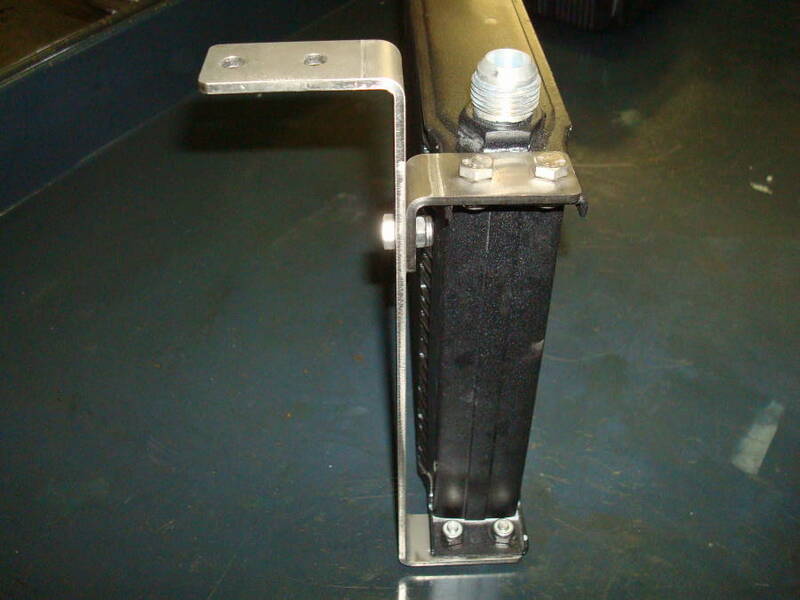 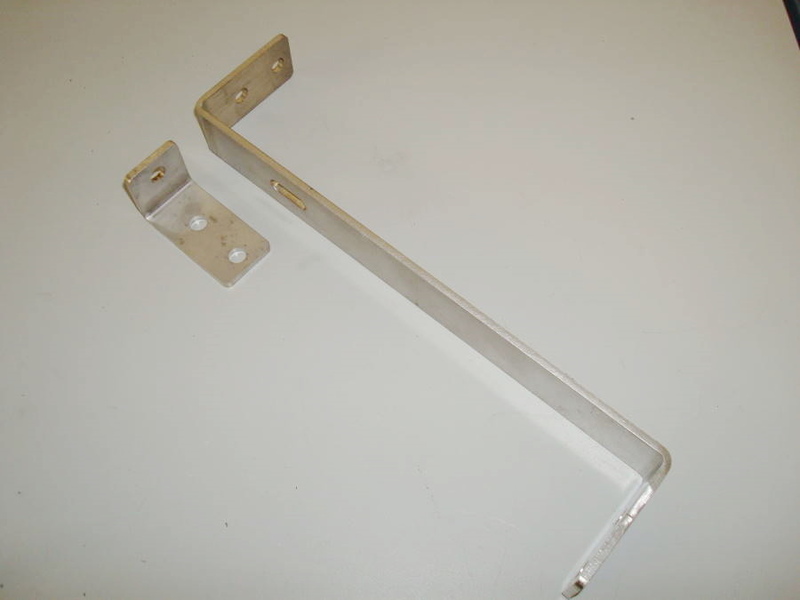 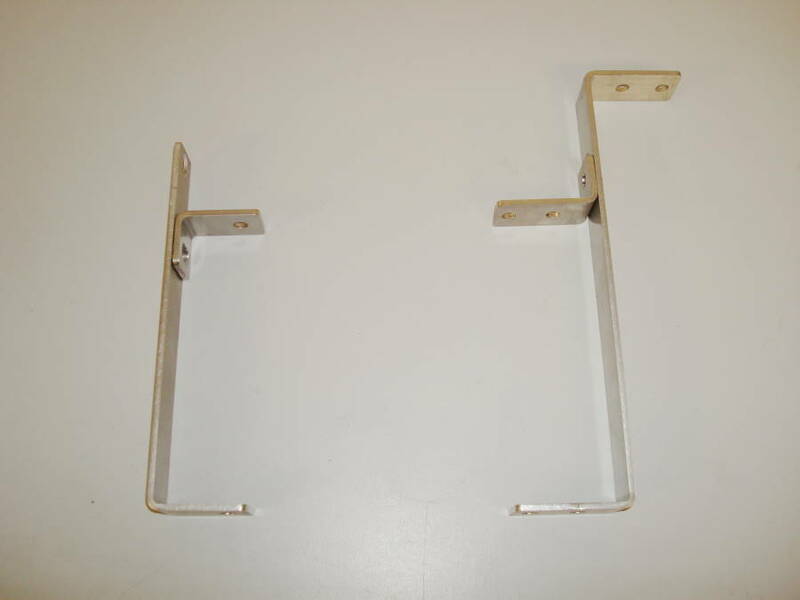 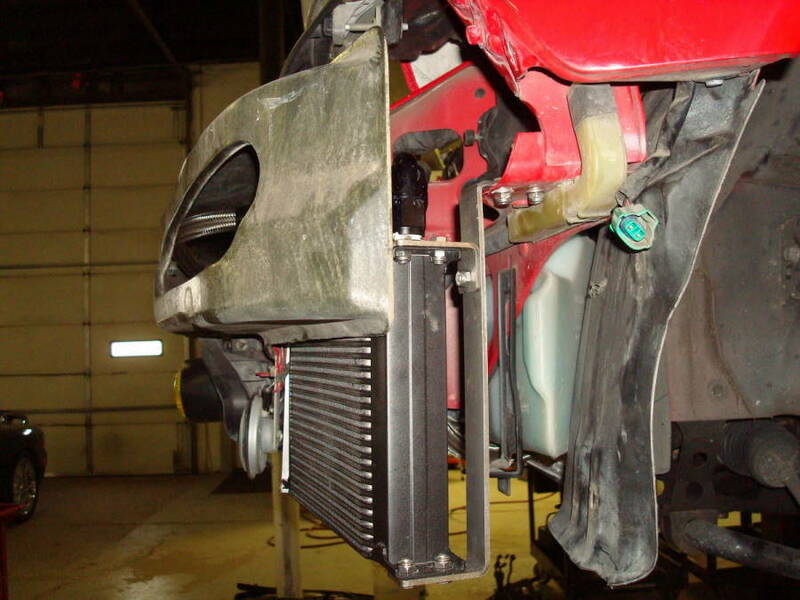 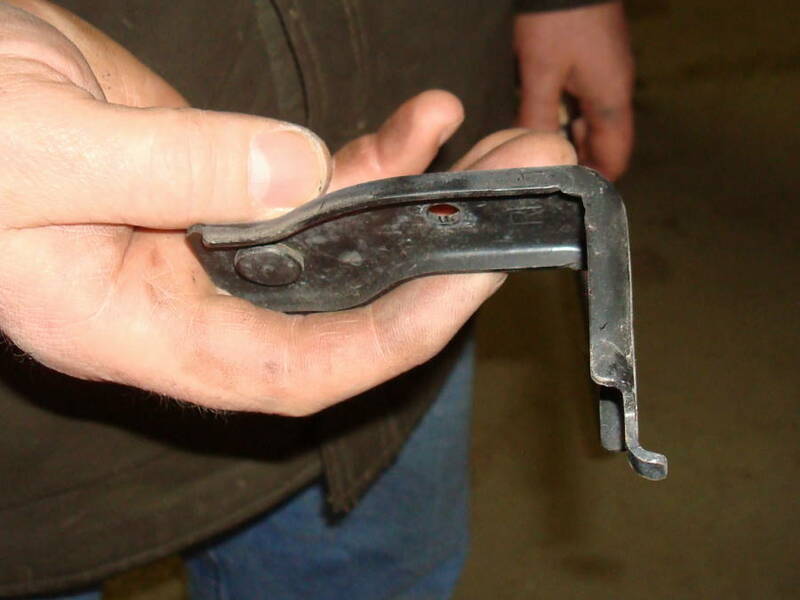 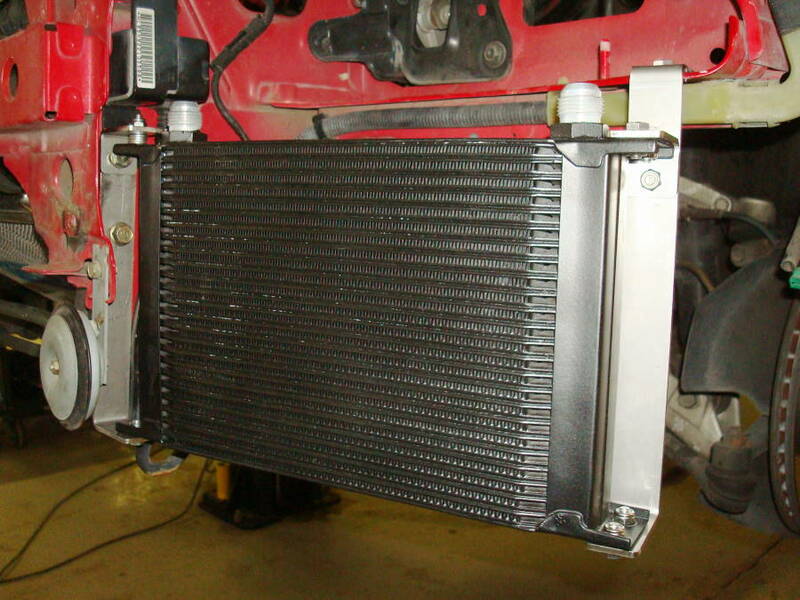 Flip brackets B & D for 19 Row oil cooler. 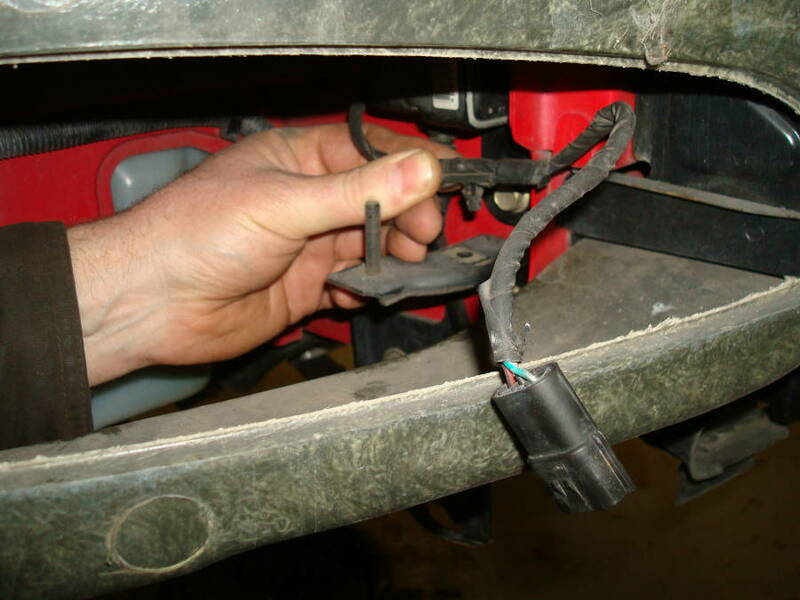 With bumper cover removed, using needle nose pliers remove turn signal harness from bracket (Pic #1). 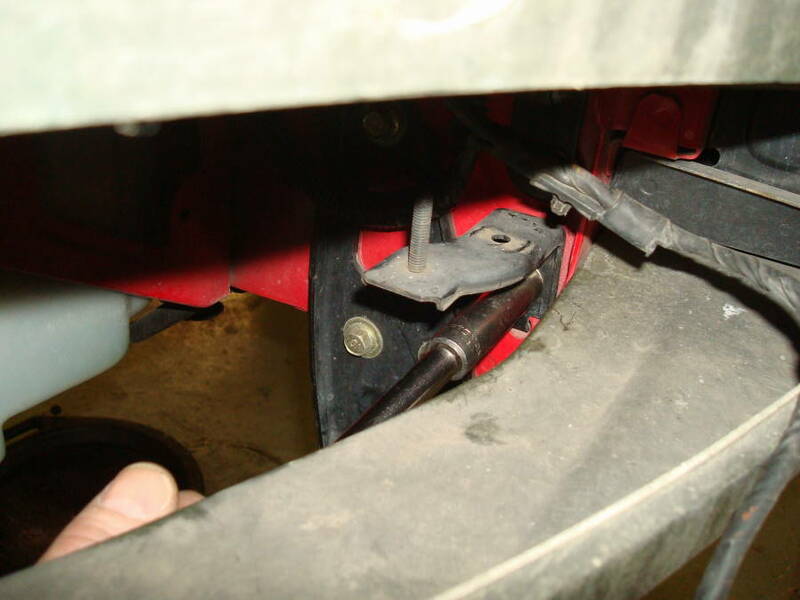 With 12mm socket remove bracket (Pics #2 & #3). 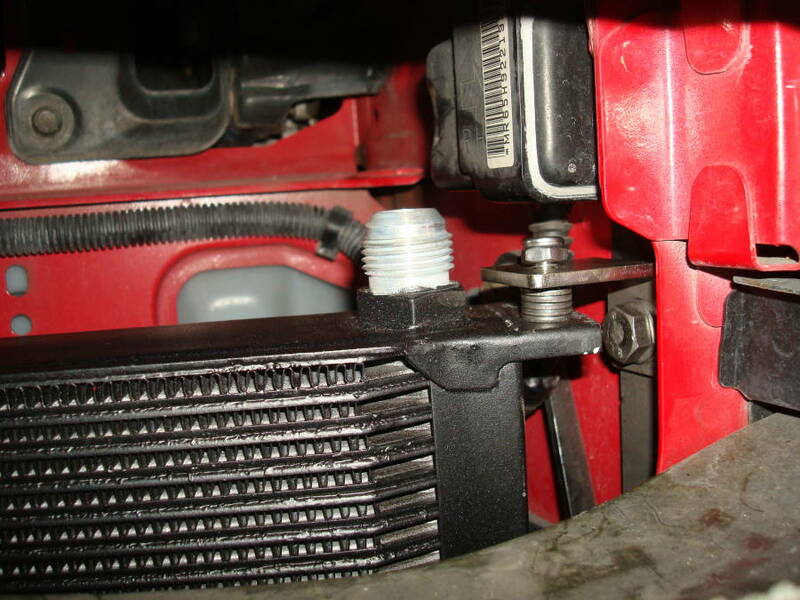 With 12mm socket remove lower bolt from air bag sensor (Pic #4). 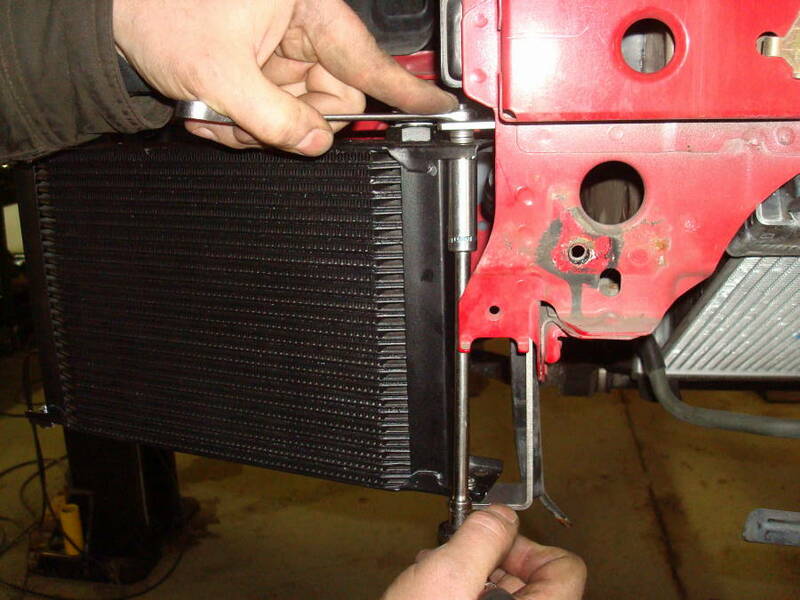 Using supplied M8 bolts and flat washers mount brackets A & B to oil cooler with (Pics #5, #6 & #7). 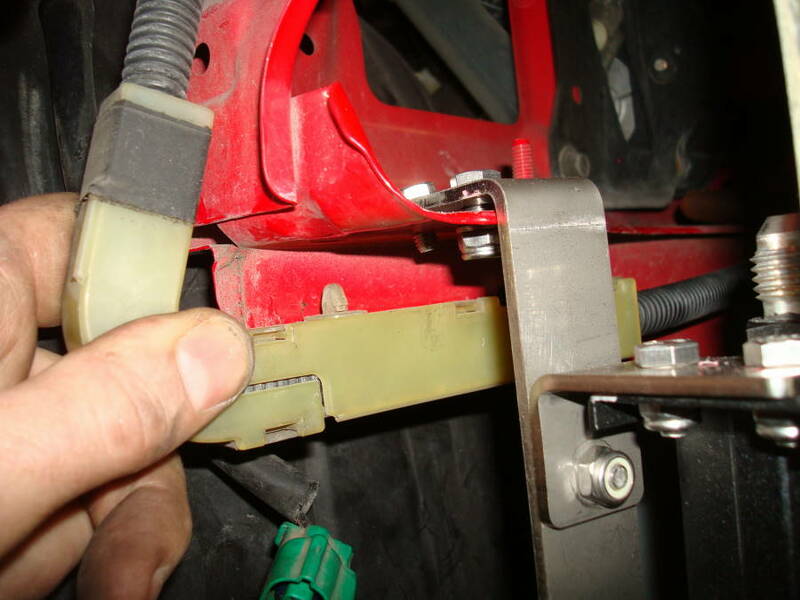 If air bag sensor is installed, use 2 of the M8 flat washers as spacers. 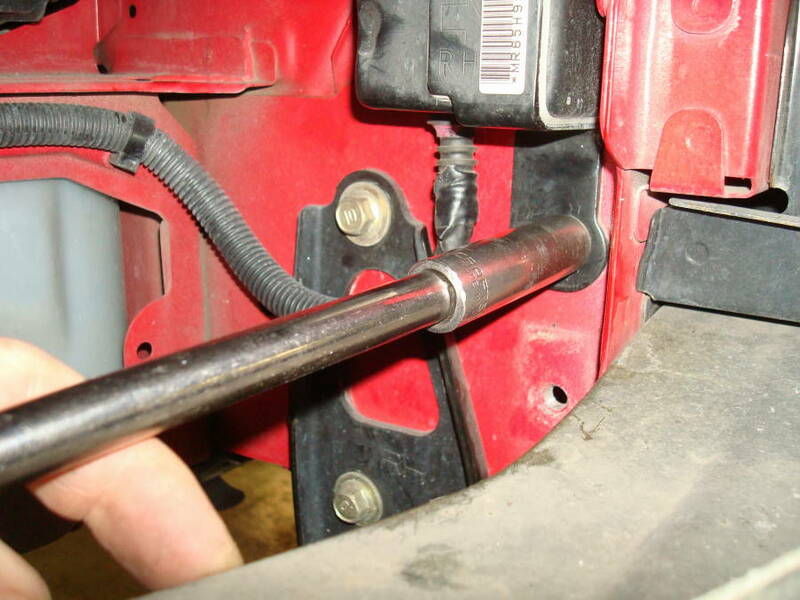 Using 13mm socket, snugly install bolts but do not over tighten (Pics #8 & #9). 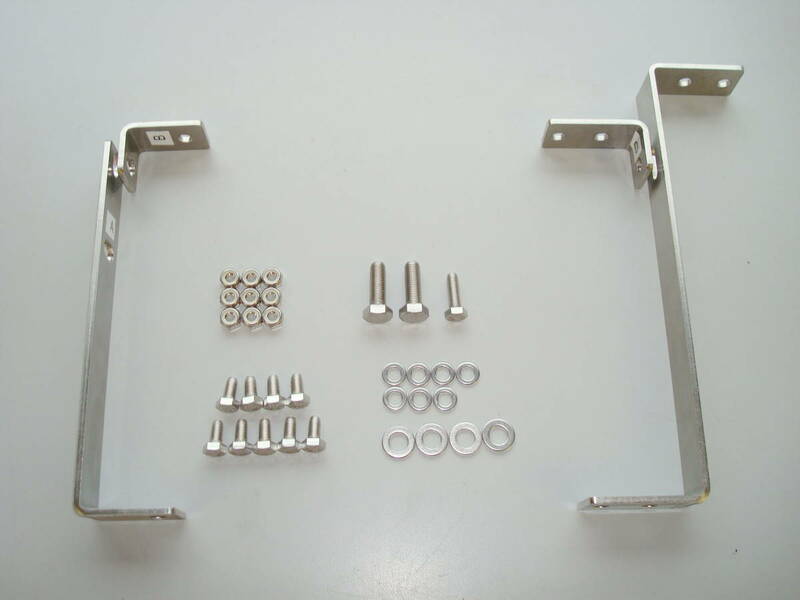 Mount brackets C & D to oil cooler with 12mm long M6 bolts and locknuts (Pic #10). 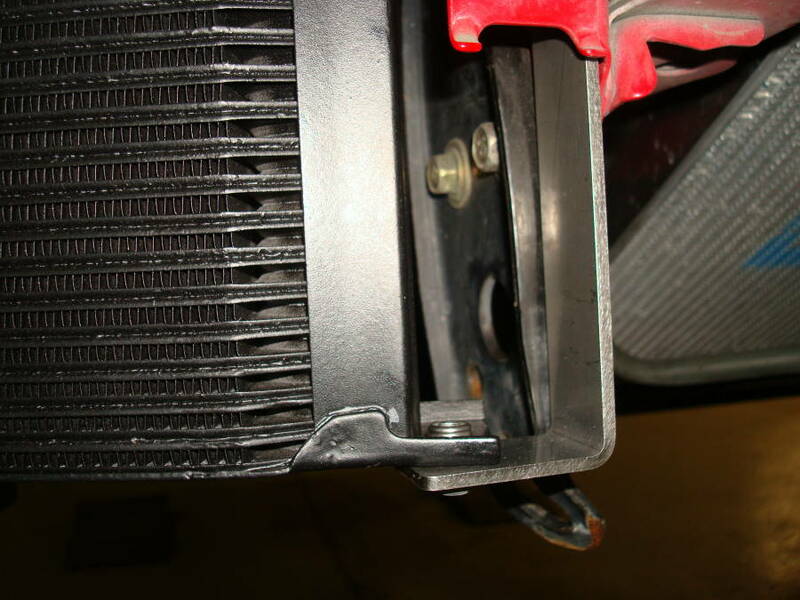 Loosely install bracket on front hole of cooler; Top with 20mm M6 bolt, spacers and locknut (Pics #11, #12 & #13). 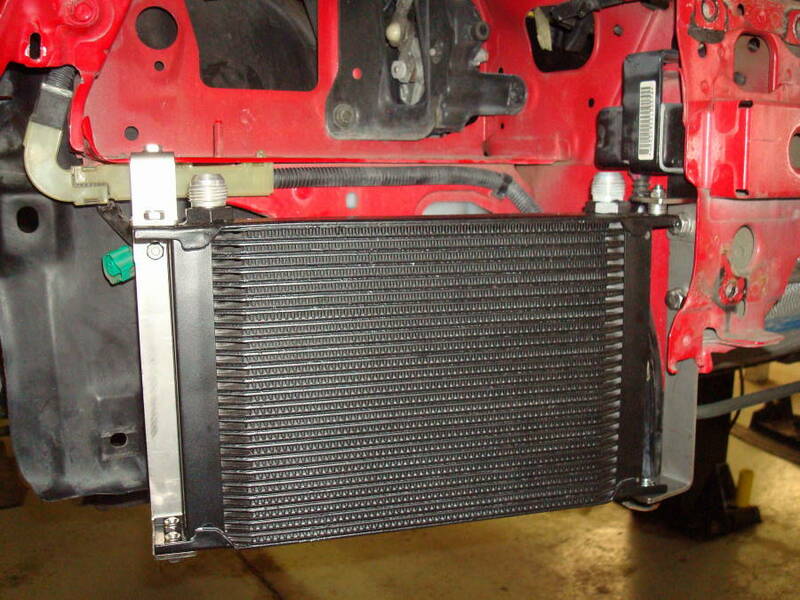 Use 5 spacers if installing Mishimoto Oil Cooler, adjust for other brands. 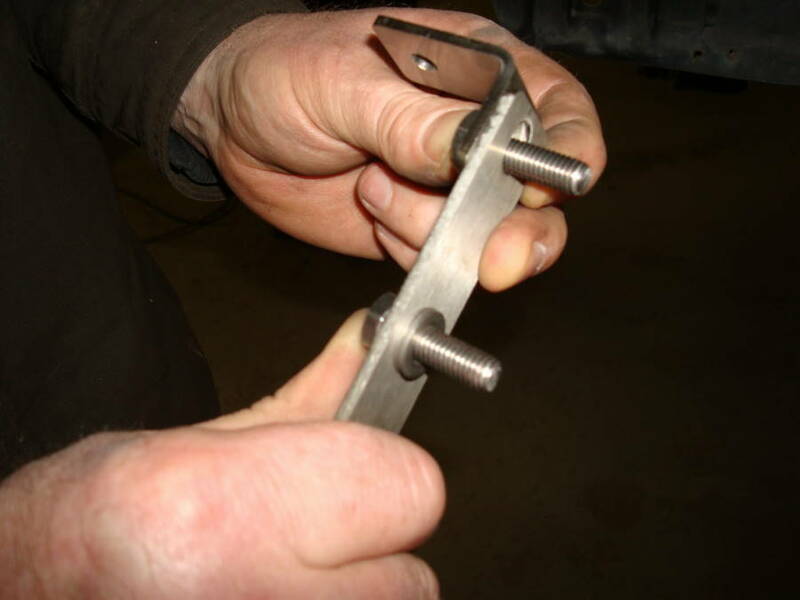 12mm x M6 bolt and locknut on bottom. 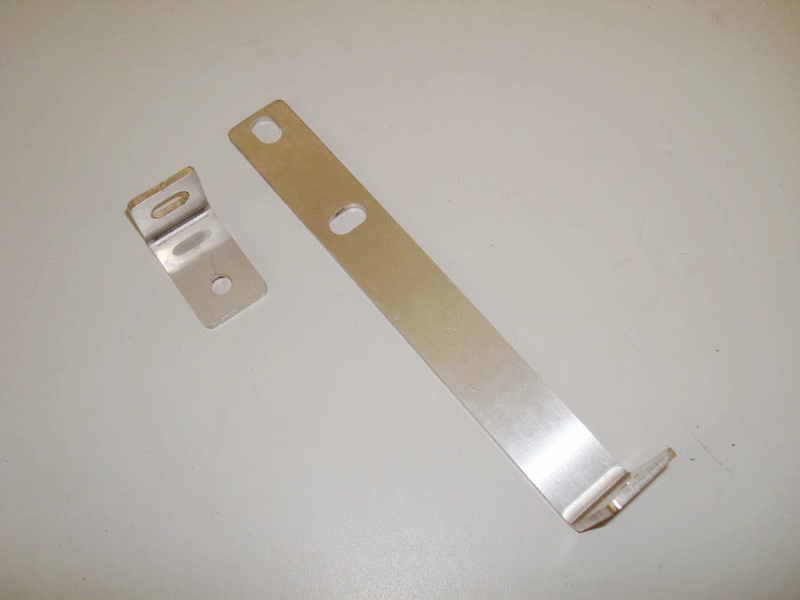 Using ¼” bit drill out mounting holes for bracket (Pics #14 & #15). 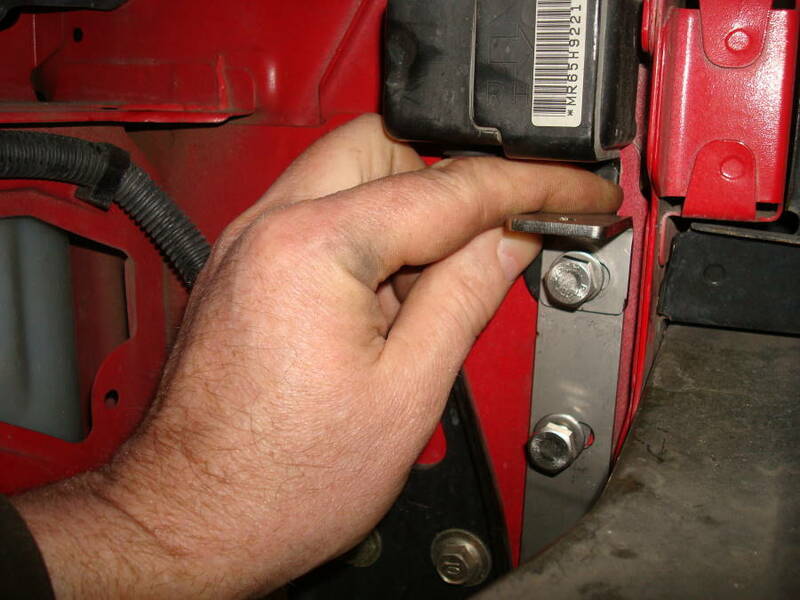 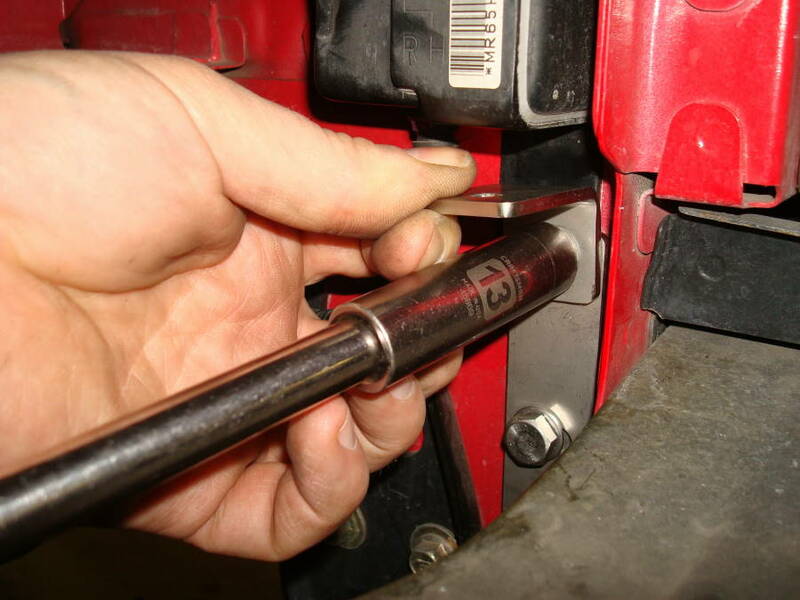 Using flat washer on bottom side install bolt and locknut. 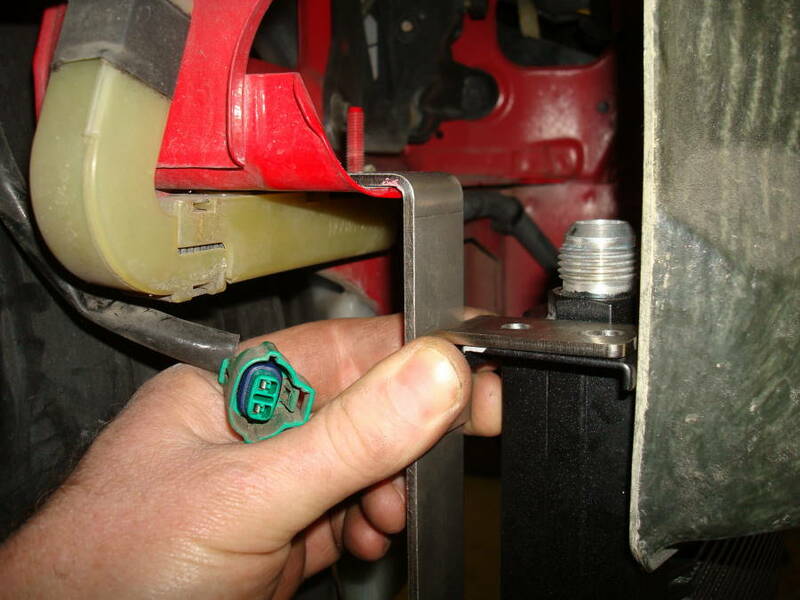 Remove bumper support with 12mm socket and now tighten all hardware including 13mm bolts holding on brackets A & B (Pic #16). 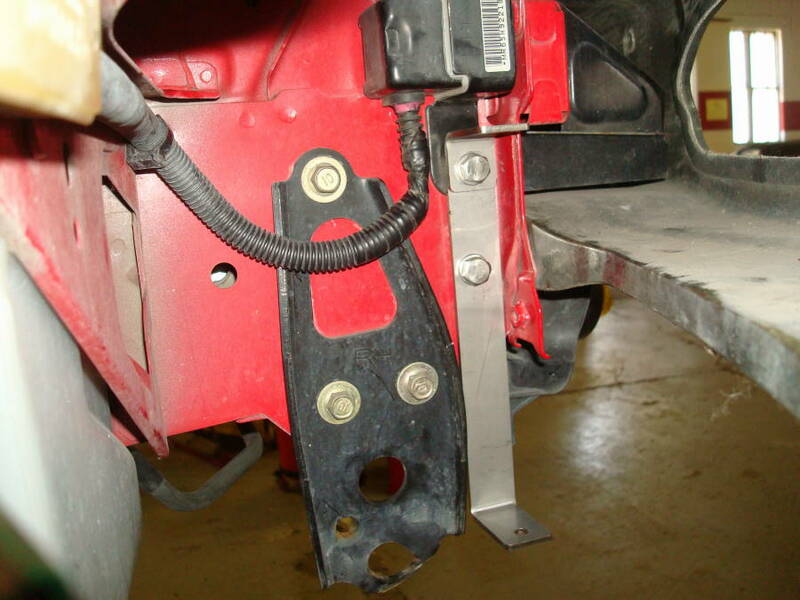 Re-install bumper support (Pic #19). 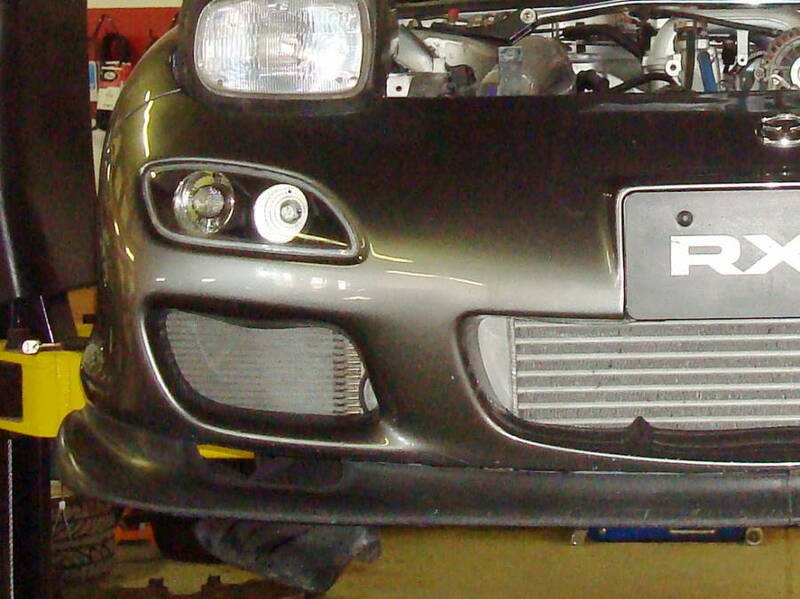 Banzai Racing Inc. & Associates are not responsible for any adverse effects arising from application of this procedure.